Downtown Berkeley’s be-there-or-be-square hotspot puts a savvy spin on regional Mexican dishes both classic and obscure. Review and rating of Comal restaurant in Berkeley. 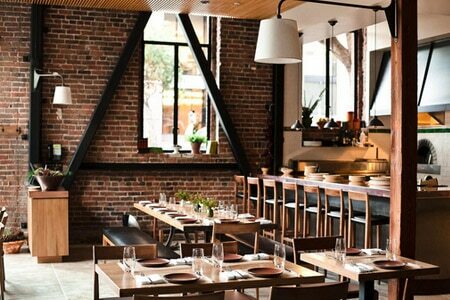 Linger over cava and small plates inspired by Barcelona and made California-cool by the inclusion of local ingredients. Recommended dish: Pork belly bocadillo with harissa aïoli. 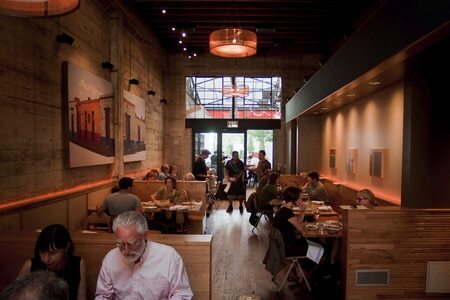 Review and rating of Contigo restaurant in Noe Valley. Daring, dramatic Spanish-inspired dishes prepared by a celebrity chef within a stone’s throw of San Francisco Bay. Restaurant tip: Ask for a seat by the window so you can enjoy views of the bay. Review and rating of Coqueta restaurant in Embarcadero. A lively urban trattoria, operated by the same team behind high-end sibling Quince. Restaurant tip: Enjoy a glass of wine with the very cool fixed-price wine program. Review and rating of Cotogna restaurant in Jackson Square. 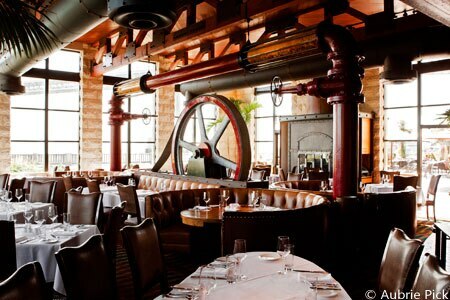 Big views, charm and New American cuisine call the elite to this show-stopper on the Embarcadero. Restaurant tip: Sit by the window for a view of Oldenburg’s “Cupid’s Span” and the iconic Bay Bridge. 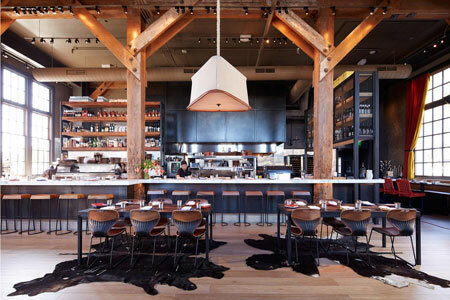 Review and rating of EPIC Roasthouse restaurant in Embarcadero.